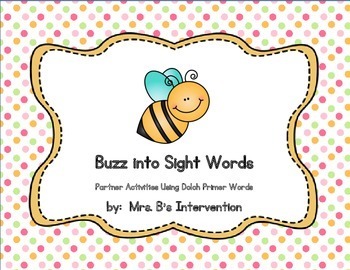 This packet includes fun activities for students to learn the 52 Dolch primer level sight words. The activities are broken down into 6 lists of 8 words. The 7th list has 4 words with review words added as needed. Students feel successful having smaller chunks of words to learn as they build their sight word knowledge. 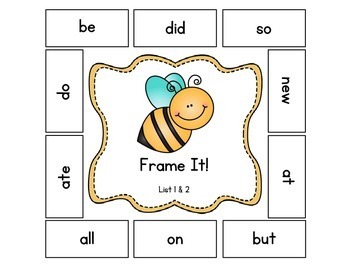 The activities can be used with partners, in a word work/literacy center, or for small group intervention. 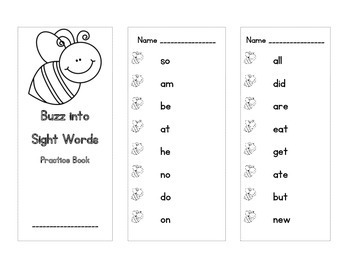 *52 Flashcards--Sight word cards to use for games, practice, etc. 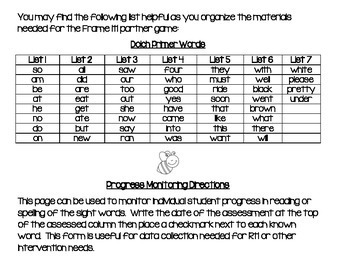 Note--Additional levels are available for Dolch lists of Pre-Primer through 3rd grade words.